These Charles Phillip Shanghai slippers were heavily reduced in the Net-a-Porter sale and I ended up paying about £35 for them. 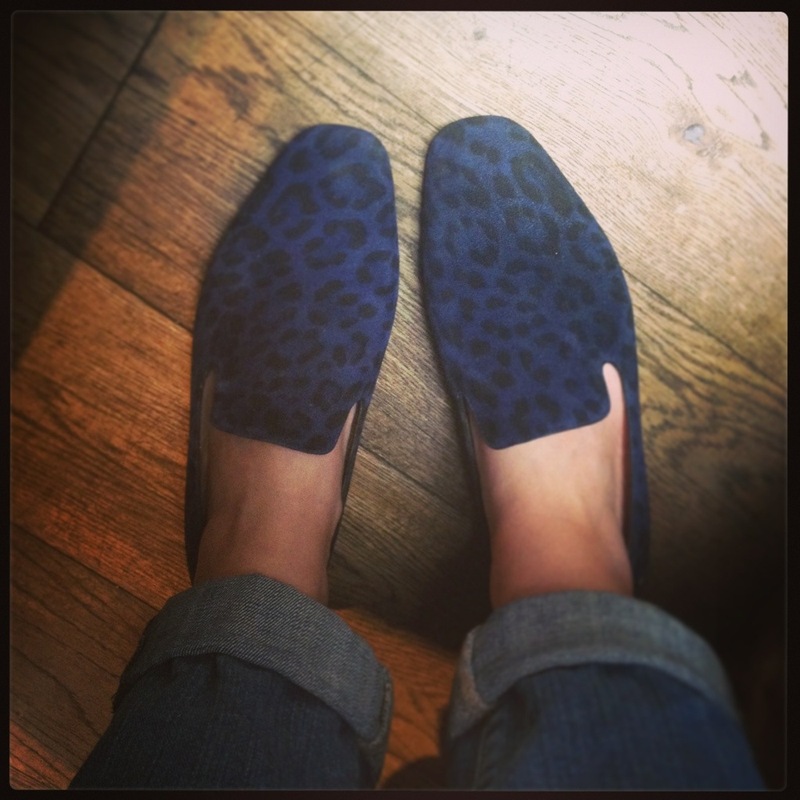 I love the leopard pair I bought last spring, so these should hopefully be a great buy. 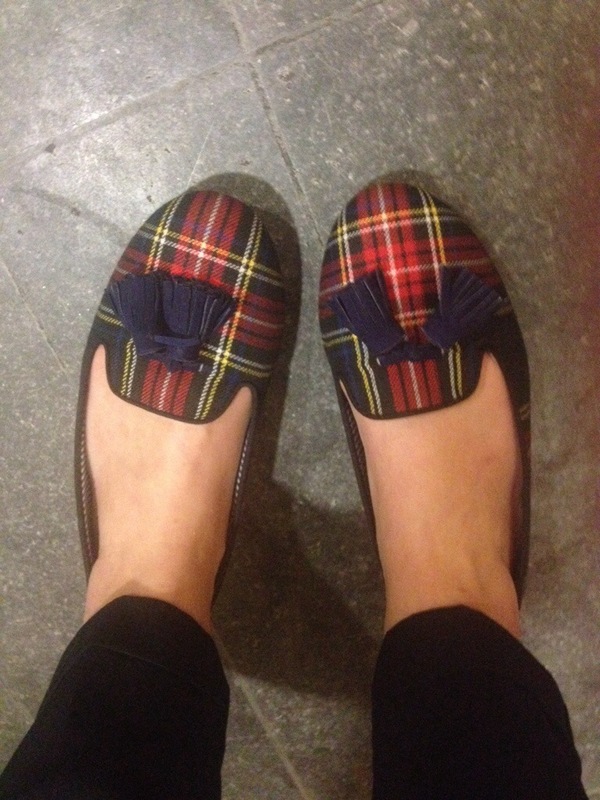 As a wise friend told me, slippers are the ballet flats for those of us who could never have been ballerinas. In other news, I got a haircut. 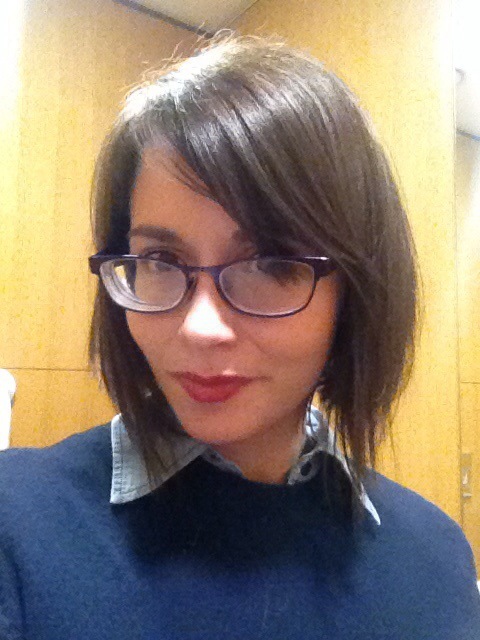 I much prefer it this length – makes me wonder why I keep getting silly ideas about growing it every couple of years. I blame the media. Been a bit quiet this week, haven’t I? On Tuesday I had an operation to correct a longstanding problem with my right hand so I’m jabbing away on my iPhone with my left thumb, and posts are taking rather longer to get out there! Aren’t they beautiful?? I have had my eye on them since the beginning of the year, and I’m so happy to finally have them in my wardrobe. It’s so satisfying when you finally get hold of a long-lusted-after item! 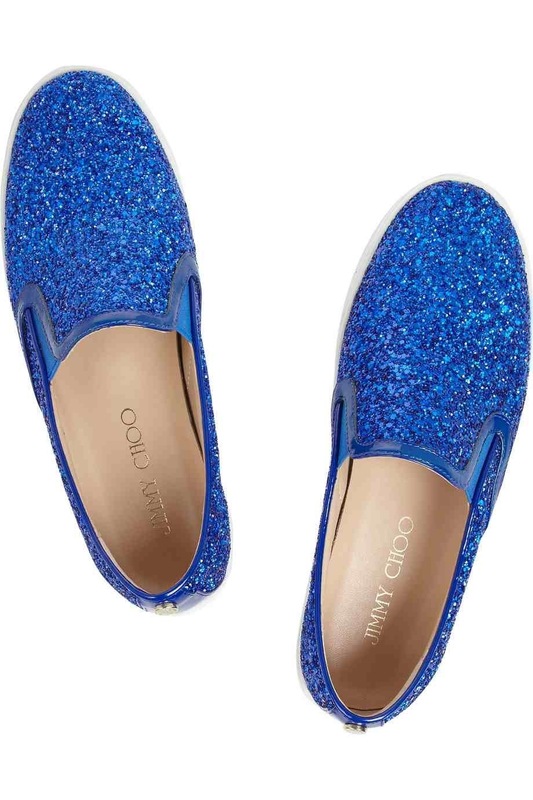 They’ve now sold out on the Jimmy Choo site but can be found in limited sizes on Net-a-Porter. Maybe not quite so practical for the office though! After a week of patchy blogging, I’m hitting the ground running today. A slightly different sort of lust list today as I am focussing not on a single store, but on a particular trend that is really tickling my fancy at the moment. Monochrome was all over the S/S13 catwalks and this has naturally filtered down onto the high street, but I particularly love it in stripe format. Maybe it’s my inner burglar, I don’t know. Anyway, luckily for me, I’m spoilt for choice! I love the slight volume to this skirt, and the fact that it is 98% cotton is a real selling point – it is so hard to find natural fibres at a reasonable price! I have just ordered this with code DPVC20 (valid until 19 May) giving 20% off. I will report back. I have liked this trench for a while, and it’s now on sale, but of course it has sold out in my size. I will have to do a trawl of the London stores. I’ve not had a Banana Republic trench before but, as I understand it, the quality and cut are among the best on the high street. While I’m on the subject of Banana Republic, here’s another stripey little bargain. I think this would definitely need to be a try on in-store enterprise as I’m not sure the cut would work on me, but I can see it being a really verstaile office cover up. I’ve never bought from, or even really ever looked at, Kaleidoscope before, but I LOVE this dress. I think I’m going to have to order it because it ticks all my boxes; crew neckline, slimming side panels and cinching waist band. Click on the pic and check it out on the model, because I’m not sure this shot does it justice! For a more casual take on the trend, how about this tee from Mango. I like the slight twist on the stereotypical Breton top, and I think the relaxed shape makes it really easy to wear. A still pricey but slightly less absurd option would be this T by Alexander Wang tank. I’m a big fan of the brand and am building a bit of a collection, but the thing that puts me off here is the ‘off-white’ description. I’d have to see it in the flesh to determine just how far from white it really is. Ok, so these aren’t quite black and white, but aren’t they fab? I’ve seen these pop up in a lot of fashion shoots, alongside some real big-hitters. I think the blush/black combo just about edges it for me, but it’s close! They’d dress up a simple shift a treat, or look great with jeans. So, are do stripes do it for you? Or are you more into florals or colour-blocking? At the risk of sounding like a broken record, I love hearing your comments, so do let me know what you think! I don’t know about you, but even at the age of 28, I still get the ‘back to school’ Sunday night blues. I don’t even work on a Monday, but I always feel a bit glum that the weekend is over. And as with any low mood, I find this feeling is best combatted with a bit of browsing. So, welcome to my new Sunday night spot, where I showcase an item on my fantasy shopping list. 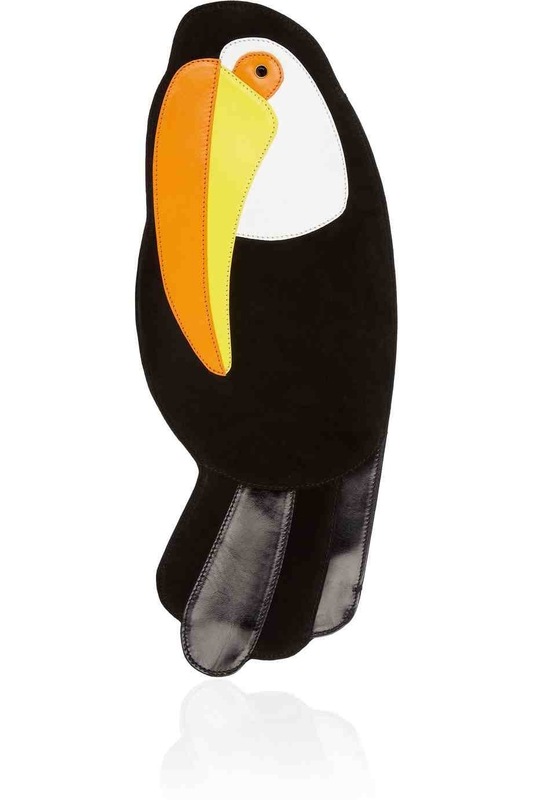 This Charlotte Olympia toucan clutch is the perfect mix of sublime and ridiculous – I absolutely LOVE it. But at £395 it’s on the steep side! I’m holding out for the sales; I think he belongs in my wardrobe!